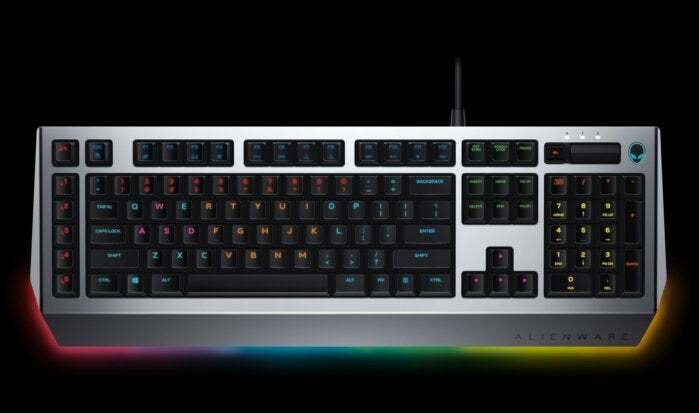 Alienware's wading into the fierce world of PC peripherals with its new gaming keyboards and mice. You know, it’s surprising Alienware doesn’t already have a lengthy lineup of peripherals. Sure, there are other companies that only make boutique PCs—Origin, Falcon Northwest—but they seem content being known for their niche. Alienware’s always had such a distinctive aesthetic, and aimed at mainstream appeal. 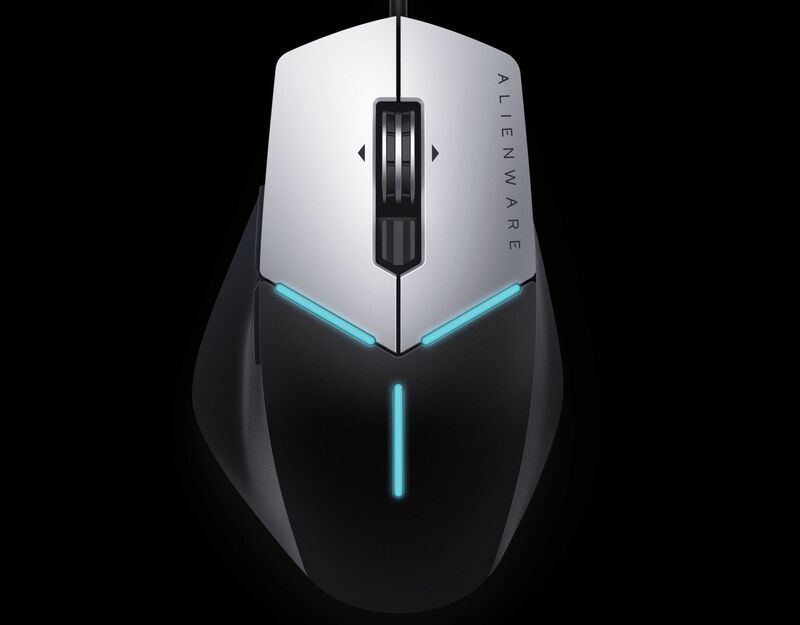 So the question in my mind, as Alienware unveils its AW568 “Advanced” and AW768 “Pro” keyboards and AW558 “Advanced” and AW598 “Elite” mice today, is “What took so long?” Not that Alienware hasn’t tried before—if you dig through the depths of the internet you’ll find reference to the TactX, a keyboard Alienware sold for a hot minute around 2010. It’s nowhere to be found on Alienware’s site nowadays though, with Roccat the preferred peripherals partner for the last little bit. 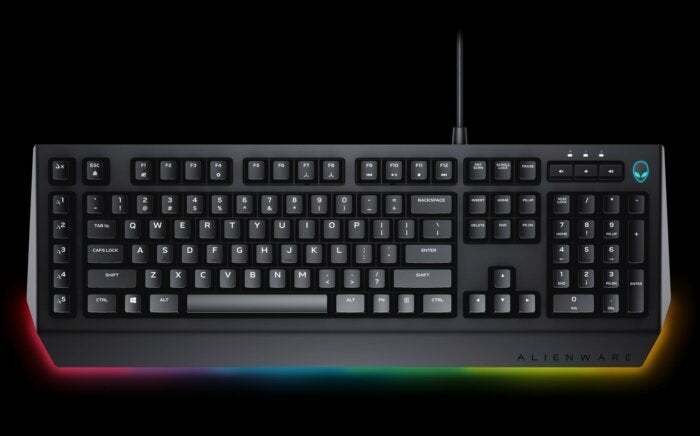 The AW768 Elite Gaming Keyboard. We’ll see whether this attempt goes a bit better. All four devices are certainly Alienware’s style, all hard angles and RGB LEDs. You can easily imagine these sitting next to an Area 51, with the same chrome and black look. The question though is whether those outside Alienware’s bubble will want to buy in. The mice are both respectable and reasonably priced, if unremarkable. With one listed at $50 and the other at $90, Alienware’s crashing into the same crowded battlefield as every other company. The AW558 Advanced Gaming Mouse. And with the same features! On-the-fly DPI switching, nine buttons, RGB lighting, the works. Both are essentially the same mouse, but the AW598 Elite mouse also includes swappable side grips, an adjustable palm height, and five on-the-fly DPI settings instead of three. No word yet on what sensor Alienware is using, nor are minimum and maximum DPI settings listed, but I don’t expect anything too outside the norm. The keyboards are more questionable. They look attractive, with the lower-end AW568 encased in all black and the AW768 in a chrome/black mix with the Alienware type logo emblazoned on the bottom right edge and an RGB LED ribbon across the front of each. The AW568 Advanced Gaming keyboard. Eschewing the standard Cherry MX switches though, Alienware’s opted to instead use Kaihua/Kailh Brown switches on the AW568 and RGB versions of the same on the AW768. This allows Alienware to undercut on price—indeed, the AW568 is a mere $90 and the AW768 lists for $120. But not every Cherry MX knockoff is made equal. I’ve tested way too many at this point, some which I love and some which I loathe even though the differences are always relatively minor. Kailh adheres the closest to Cherry’s design, and is thus solidly in the middle. There's no real advantages over Cherry switches, and the usual quality control issues, as well as questionable long-term durability. It’s also strange that Alienware’s opted to only sell Browns. Linear switches—Blacks and Reds—are traditionally used for gaming keyboards, whereas Browns and Blues are more for typing. I'm not sure if that’ll change down the line, though I suspect it probably will. I’ve also got some concerns about the lighting. Or rather, in the case of the AW568 keyboard, the lack of lighting. There’s that aforementioned RGB LED ribbon on the facing edge of the AW568, but that’s a purely decorative addition—it doesn’t improve the typing experience at all, and no backlighting on a $90 keyboard is a bit hard to stomach. And if you’re curious why the AW768 includes RGB lighting at $120 instead of selling at the industry-standard $150+ level? It’s because it’s actually 13-zone lighting, not per-key RGB. At least there’s some backlighting though—that makes it the more attractive offer of the two keyboards. That’s the theory, anyway. All four devices are scheduled to release tomorrow, June 13, and we’ll hopefully have full reviews for you soon. The obvious follow-up question: What would a Falcon Northwest keyboard look like? Plated in gold? Liquid-cooled? The world’s eyes turn to you, Falcon.